LAST week was very busy and enjoyable for the lady bowlers social games and Club Fours Championship played on Tuesday and Thursday. 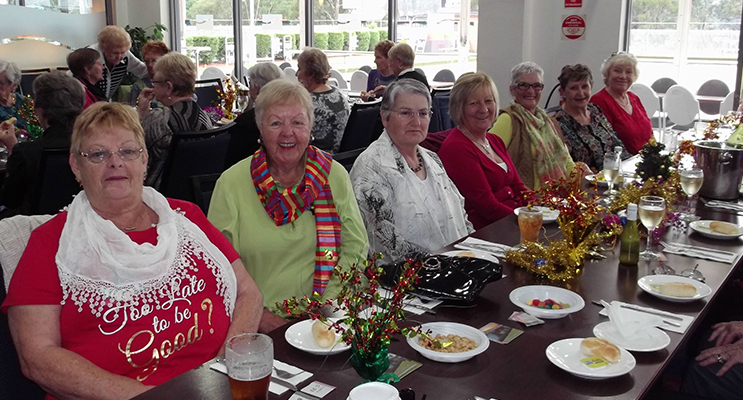 Wednesday, had Christmas in July celebrated at Karuah RSL Club. 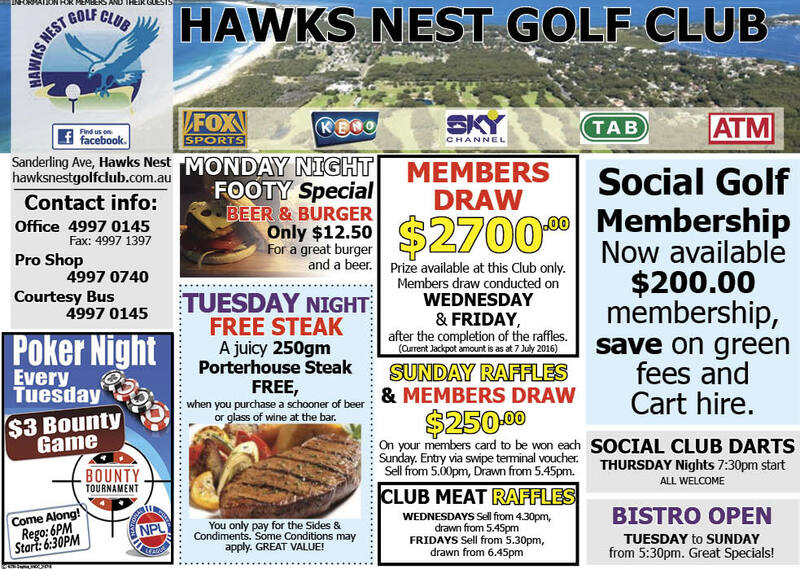 Tuesday,19th July: Round 1 Club Championship Fours result Lorraine Harvey’s team, Karen McPhie, Vicki Rankin and Lyn Green defeated Olive McKeown, Sheril Johnson, Julie Kennedy and Jill McBride. Maynie Roberts team, Pam Gilchrist, Kathie Rimmer and Loretta Baker defeated Liz Kelly, Jan Kuzmic, Robyn Webster and Deyonne Page. Social bowls winners with the highest score were Carol Bywater, Bev Rhodes and Lily Smith. 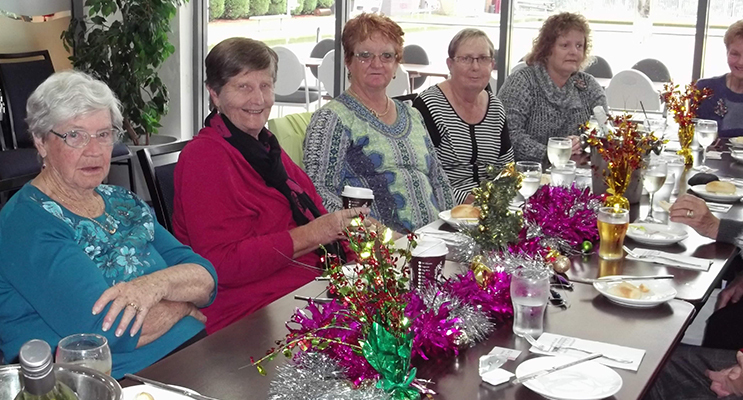 Wednesday, 20th July: A happy group of Tea Gardens CC lady bowlers had a wonderful Xmas lunch at Karuah RSL Club. 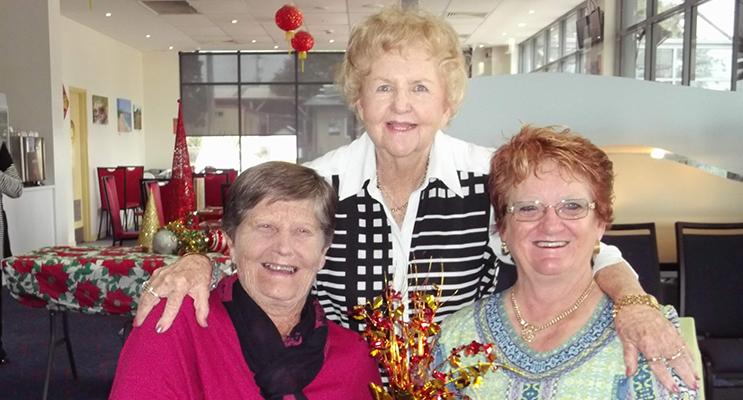 The weather was grey and wet however the ladies enjoyed lots of fun and merriment. There were lucky door prizes and raffles, music, singing and dancing until it was time to leave and return home. 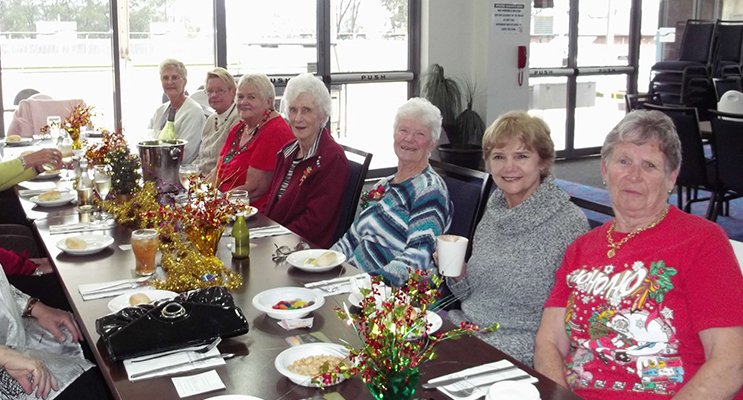 Thanks to bus driver, Ron, Karuah RSL for a warming Xmas lunch and everyone for attending. 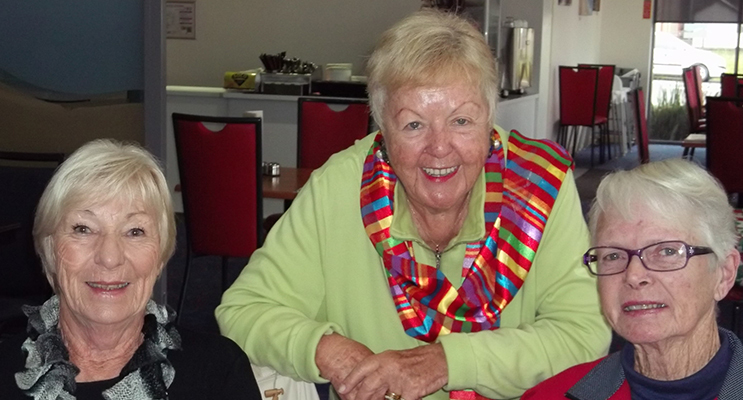 Thursday, 21st July: Round 2 Club Championship Fours, Lorraine Harvey’s defeated Maynie Roberts team and Nola Jackson’s team Kerry Faber, Carol Hayden and Wendy Brand were the winners over Lily Smith, Frances Betar, Christine Fossey and Wendy Jones. Wendy Jones, Pam Gilchrist, Frances Betar, Kathy Stone, Lily Smith, Lesley Kibble and Kathie Rimmer.